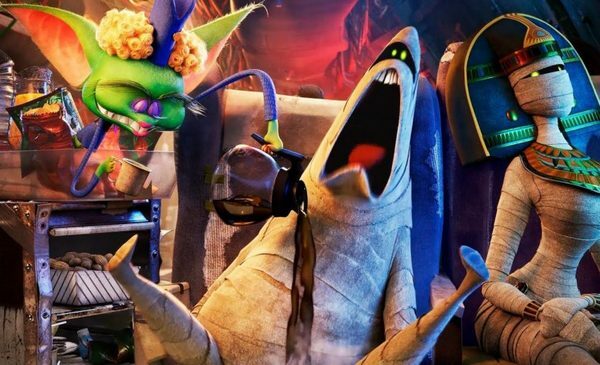 Review of the cartoon Hotel Transylvania 3 of the project What is good. The time has passed when most of the children were brought up in fairy tales, carefully transferred from the older generation to the younger one. To replace tales came cartoons, and grandfathers and grandmothers, on whose shoulders in many ways the function to raise grandchildren and transfer of wisdom was kept, from all TV channels persistently convince that their happiness is not at all to get on a deserved pension and devote themselves to children and family, but to work until the last day. Perhaps, many of their professional work really brings joy. But what is it like to know that you have to work to survive, at a time when your heirs will in the literal sense be transcoded with the help of such cartoons as “Hotel Transylvania 3″? Once a ghoul or vampire was associated with the majority with evil, symbolizing the parasitic way of life and the desire to live at the expense of others. Today, new times have come, and vampires have turned into cute creatures who know how to joke, make fun parties, are genuinely loving and eager to live among people. With their fangs, they already do not kill anyone (at least in the shot), but only show them for camera flashes. “Why one has to be afraid of monsters? They are in no way worse than people – they just have to accept them as they are, “- this message goes through the red line through a series of cartoons “Hotel Transylvania”. The plot tells the audience about the son of Vlad Dracula – Dracula, Jr., his adult daughter Mavis and their gradual entry into society. In the first part of the cartoon, people rejected monsters, which caused them to suffer greatly. Poor Dracula even had to hide his daughter from the world around him at the Hotel Transylvania. But miraculously the young guyJohnny, who not only was not scared of Mavis, got to the hotel, but also fell in love with her. Paradoxically, but hiding behind the motivation of “love” today is most often dragged to the community all kinds of deviations. “The boy loves this dog as his other half – how can one prevent their happiness?” – and this is no longer a stupid dirty joke, but one of the plot lines of this children’s cartoon, the motto of which is the phrase “You can not deny “zing”: a monster, man, unicorn – what’s the difference? 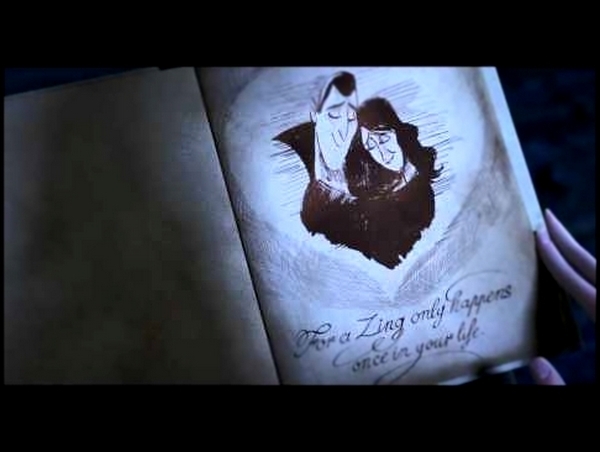 “(in the context of the animated cartoon a “Zing”- this is love at first sight). This phrase in various versions is voiced many times over the film by almost all the protagonists. At the end of the first part of the cartoon, people help and support Dracula, so that he can organize the family happiness of his daughter. In the second part, people and monsters already coexist peacefully, and Dracula even brings up his grandson Denis, who later falls in love with the doggie girl. In the third part, which will be discussed in this review, Dracula defeats the last madman among people who, by his stupidity and cruelty, continues to hunt monsters. In one of the last scenes, the vampire shows the highest noble qualities of his soul and saves the defeated opponent. At this point, the child’s brain must learn for ever that monsters / vampires / parasites are good, and they were simply undeservedly slandered. With such a mess in the head, formed by such cartoons, the child will find it very difficult to orient in life. After all, in reality every content has its own form. And if you substitute stuffing and image for children’s products, then you destroy the child’s skills to distinguish between good and bad. If you dig deeper and look more globally, then monsters are a kind of minority that hides from the evil majority (people). And this evil majority will have to change and accept a minority that, although it looks like a blatant evil: skeletons, skulls, fangs, incontinence, stupidity, vulgarity, ugliness, etc., but in fact – supposedly sweet and kind. Does nothing resemble modern tendencies promoted by the West in the gender sphere?. And it is precisely this tolerant ideology that such plots place in children’s heads. And in order for it to be well mastered, the picture is filled with endless action and humor. Laugh, relax, have fun. You brought the children to the cinema, so that they can have a good time together and relax? So why should you strain, think and analyze something – rest, we will entertain you and your children. When the shots flicker with frenzied speed, and everything explodes, falls, strikes and screams, something difficult to comprehend even an adult, not like a child. Although if the parents have at least a drop of vigilance, after the tenth joke on the topic “Let’s laugh at how someone bit off a finger or broke a hand,” somewhere in my head I still have to think what is the systematic education of insensitivity and a laughable attitude to someone else’s pain is unlikely to be useful to their children. One must also be repelled of the abundance of fastidious scenes in which someone farts, drooling, sticks an ax in the head or gives birth to a child by vomiting caused by a pumping on the sea (this is not the nonsense and sick fantasy of the author of the article, and again one of the episodes of the cartoon). After all, we must understand that not all topics can be laughed at, and certainly not every humor is useful for children. Because every joke attracts attention to some issue and leaves its mark on the human psyche: silly humor makes a person more stupid, kind and subtle humor can on the contrary benefit. 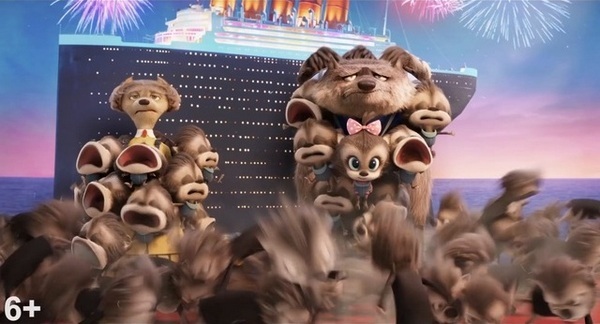 If, like in the movie “Hotel Transylvania”, the camera regularly focuses on the fifth point of the characters, and the characters themselves pay special attention to it through the same jokes or ambiguous gestures, it is this part of the body that will begin to attract the attention of the child. Does any of the parents really think this is useful for their children? But this small, but indicative immoral layer, is present in most of today’s Hollywood products. Of course, someone will say that all of the above is just little things, and the main storyline is supposedly devoted to manifestations of mutual support, dedication, love of monsters and so on. But the fact that for some little things – for others professional work, because they perfectly understand what the cumulative effect is the regular introduction of these “trifles”. For example, is it accidentally that an extremely repulsive image of a large family is inserted into the series of cartoons “Hotel Transylvania”? The mother and father of the wolf have dozens of wolf cubs who do not let them live peacefully, but only endlessly yelling, they are all ruining and mocking their parents, who are shown eternally clogged, tortured and unhappy. In the third part, these same parents finally managed to get rid of their children, and this was for them the highest joy. They begin to live in pleasure, to play, to have fun. When the children finally find them, they run away from them in horror. At the end of the cartoon they plan to repeat their vacation on the liner, because only here they managed at least temporarily to get rid of the children and live happily. What idea does this example of a large family bring to the audience? But this is also just a “trifle”, which is revealed in the course of the cartoon through several short episodes, not related to the main storyline. And another “trifle” is that the protagonist Dracula has only one daughter, and they have very touching relationships with each other. And Mavis and Johnny also have only one child, and everything is fine with the family. The amateur will say “trifle”, “accident”, “coincidence”, and the professional will say “the program to reduce the population.” And you thought, the so-called “developed civilized countries” by themselves began to die out steadily? There are other “trivia”: the absurd behavior of the main characters, sort of like losing their head from “love”, constant discos and dances, gambling, vulgar episodes, rough slang and so on. But just to see all these “little things”, you need to analyze the cartoon, which means not rest, but a certain work. Viewing the same cartoons in the entertainment format is very expensive: not in terms of money for a ticket, but in terms of consequences for the psyche. Therefore, planning your trip to the cinema, especially with children, it is better to think once again about what effect you plan to get. In several episodes, dances and discos are shown, on which glasses and bottles appear in the background. Attention to alcohol is not emphasized. A few trivial jokes, inadmissible in the children's cartoon. Regular attraction of attention to the fifth point of the characters (slapping, appropriate humor, demonstrative gestures, etc.). In the cartoon, there are at least hundreds of episodes in which it is suggested to laugh at how someone falls, strikes, dies, etc. Many positive characters have a craving for destruction. 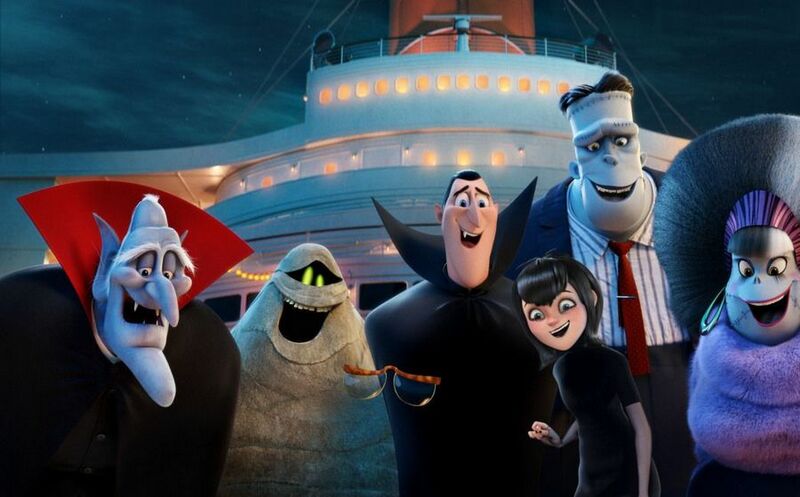 Cartoon “Hotel Transylvania 3″ translates a tolerant ideology, aimed at mixing the concepts of good and evil. An idea that love (in the sense of gender relations) is possible for anyone: a monster, a unicorn, a man or a dog. A positive image of a family with one child and an extremely negative image of a large family are shown. Most of the characters behave stupidly and unrestrainedly. The picture is replete with scenes of violence, ugliness and abomination. – The main characters of the cartoon behave aggressively, cruelly, mutilate, kill, cause harm. And all the details of this are “savored”, even if all this is filed under a mask of humor. – The plot demonstrates the dangerous, in the case of attempts to repeat it in real life, for health or life behavior. – In the plot there are scenes of disrespectful behavior towards people, animals, plants. It can be a mockery of old age, weakness, feebleness, physical disabilities, social and material inequality. – The film’s characters are unsympathetic and even ugly. For children’s perception, for a more easy orientation in who is “bad” and who is “good”, it is necessary that the positive hero be cute and externally pleasing. Then the child will be easier to understand which of the characters should be imitated, and who on the contrary. – In the cartoon, an idle way of life is cultivated, the ideal of “life is an eternal holiday”, the policy of avoiding difficulties and achieving goals by an easy path, without effort or even deceit is propagandized. – In the cartoon there are plot lines, discrediting and contemptuous, squeamishly describing everything related to motherhood and birth, the upbringing of children. Mother images look repulsive, their way of life is shown as defective and inferior.